I’m Chelsey the reigning Mrs. Utah County 2017, I’ve lost over 80 pounds with Boxing and I am extremely passionate about this sport. I started volunteering with the Rock Steady program in October 2016 and quickly fell in love with the mission, the people, the community and the results that were coming from this program. I decided to reach out and see how I could help this wonderful organization in anyway and found out about the needs for gym scholarships, coach trainings, equipment, and making the gym more Parkinson’s friendly. I’ve made it my platform and mission to create more awareness about Parkinson’s disease, the benefits of the Rock Steady program, networking in the community to grow this program, telling more people about it and how hey can get involved. I want to focus on raising funds for my local gym where I volunteer, to raise funds for equipment needed and to create scholarships. You may also get involved by sharing this link and inviting friends to donate and attend the event (link below)! Parkinson’s disease is a degenerative movement disorder which can cause deterioration of motor skills, balance, speech and sensory function. 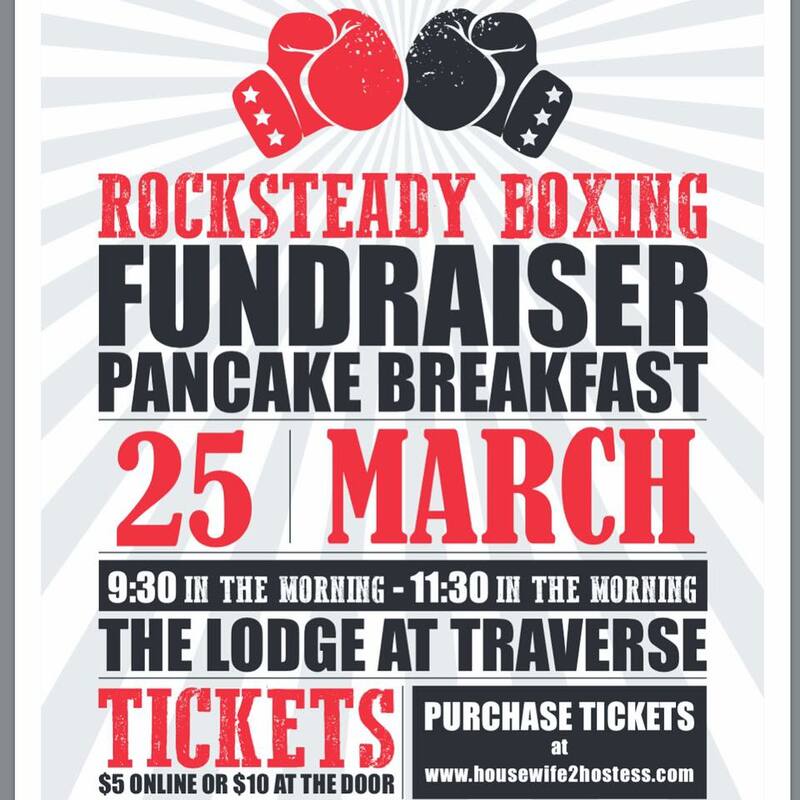 Currently there is no cure but the rocksteady boxing program is offering support, community and hope. Join in at this fundraiser and pancake breakfast sponsored by Kodiak Cakes, in support of our local community members who are fighting back against Parkinson’s disease everyday. Thank you for joining me in the fight against Parkinson’s disease!